This is a repost that originally appeared on the Couchbase Blog: Serverless Architecture with Cloud Computing. Serverless is one of the new buzz words that you’ve probably heard. It refers to a type of deployment where the server is abstracted away. It doesn’t mean there aren’t servers, just that you don’t have to provision the servers yourself. We’ll explore this in the post. In some cases, serverless can free your enterprise from the costs of maintaining infrastructure, upgrades, and provisioning servers. In this post, we’ll explore the basics of what serverless is, how it differs from microservices (another buzzword), some possible benefits, and how Couchbase Server fits into the picture. Your code is triggered by events. Events can be as simple as HTTP requests, or they could be many other types of events, depending on what the cloud platform supports. (Azure, for instance, supports Timer, GitHub, etc). Within the cloud, the servers that execute that code are automatically provisioned (and decommissioned) by the cloud provider on an as-needed basis. You might also see the terms BaaS (Backend as a Service) or FaaS (Function as a Service). Recently, the meaning of the "serverless" buzz word has been expanded, but this post mainly focuses on FaaS/BaaS cloud services. There are some similarities between serverless and microservices, but they are not the same thing. Both are approaches to break an application into smaller, independent pieces. They differ in what is deployed and what you manage. 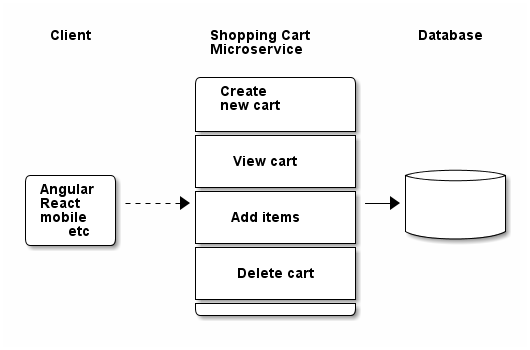 As an example, if you are using a microservice architecture, you might have a "shopping cart" service (in addition to other services like "user profile", "inventory", etc). Here’s a diagram of a very simple microservice. Its responsibility pertains only to the shopping cart. It is not a complete application by itself. The service contains a number of possible operations, but they are all part of the service. The microservice communicates with a database (possibly a dedicated database) to complete operations. The microservice deployed to the cloud may use a VM that requires provisioning. Even while this service is idle, you’ll be charged for VM time. Contrast this with a similar set of features, this time created with a serverless approach. You don’t have to provision a VM, you just deploy a function. Shown in the above diagram are only standard HTTP requests. You could also use a Timer event, for instance, to check every 5 minutes to see if there are any abandoned shopping carts. There are some benefits (and trade-offs) when using a serverless architecture. One benefit is that scalability is handled by the cloud provider. If demand or usage increases, the cloud provider can compensate by adding more server(s) when necessary. Another benefit is that costs are tied to usage. If you have a service that is constantly in use, you might not see any benefits. But if you have a service that is sporadically used, then serverless may provide cost savings. Finally, it’s possible that a serverless architecture can reduce administration costs. You don’t need to wait for a server to be commissioned. This may improve agile iteration if commissioning VMs or servers are time consuming. It can reduce your need for IT operations, at least initially, because there are no servers to deploy, fewer servers to manage/upgrade/etc. All this may lead to improved developer productivity. It’s important to note that serverless is not a silver bullet. Your application may not be a good fit for this kind of decomposition. Also, if you end up deploying a large number of serverless functions, you will still need operations people to manage, monitor, and test your functions. Definitely check out the benefits and drawbacks in detail at MartinFowler.com. Couchbase Server has partnered with each of these major cloud providers and can run on any of those platforms. In addition, you can run Couchbase Server across multiple cloud vendors for improved reach, disaster recovery, and diversification. You can also use Couchbase Server in a hybrid-cloud situation (a mix of cloud and on-premises). No vendor lock in. With Couchbase, you aren’t even locked into the cloud, much less a single cloud vendor. With XDCR, you can go cloud-first, and have an on-premises cluster for disaster recovery, or deploy Couchbase to multiple clouds. Cloud marketplace offerings. You can get started in minutes: on Microsoft Azure, AWS, or GCP. Tools for your programming language. Couchbase offers SDKs for Node.js, .NET, Java, PHP, Python, Go, C/C++, as well as community support for many others. No matter your serverless platform or language preferences, Couchbase has you covered. 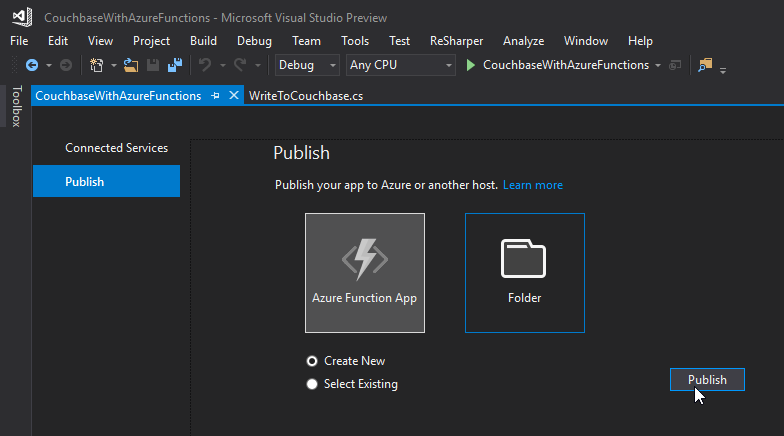 Check out this blog post on Azure Functions with Couchbase Server for a technical intro using .NET/C#/Azure. Scaling. With Couchbase Server, scaling is easy and efficient. Couchbase’s architecture is designed for scaling, with built-in replication, autosharding, and data distribution. Every node in a Couchbase cluster can do both reads and writes, providing efficient use of computing resources and high availability. Flexibility of JSON. Many apps can benefit from a flexible schema, even if you’re using a relational database. Check out this whitepaper on why Couchbase is the engagement database that can work alongside your transactional and analytical database to provide an exceptional customer experience. Serverless takes decomposition of your application back-end one step further. Storing JSON data in Couchbase Server gives you flexibility with both schema and scaling. Is serverless right for you? It’s not a silver bullet, but if you’re interested in benefiting from lower costs and easier deployment, we’d be happy to help you create a careful plan and discuss whether or not it’s a right fit for your application. You can contact me by leaving a comment, or finding me on Twitter @mgroves. This is a repost that originally appeared on the Couchbase Blog: Azure: Getting Started is Easy and Free. Azure is where Microsoft is spending a lot of its efforts lately. Microsoft is dedicated to making Azure a success. As someone who started working with Azure a little in the early days, I can say that it’s come a long way, and offers a remarkable set of services at good prices. But not everyone is on board with Azure or even with cloud computing yet. 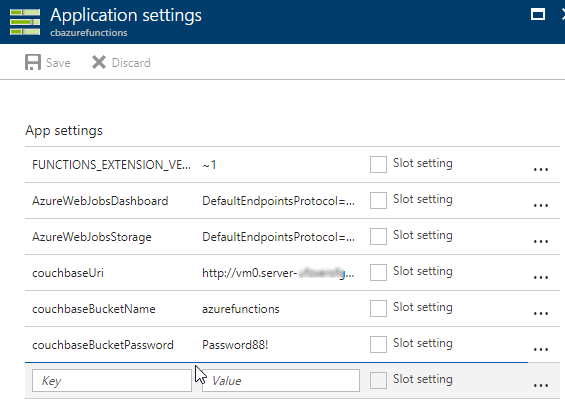 If you haven’t yet dipped your toe into the Azure pool, but are curious, this blog post is for you. What is cloud computing? What is Azure? Cloud computing basically means that instead of running applications in your own data center, you run it in someone else’s data center. Why would I do that? Running a data center is difficult and expensive. You have to purchase hardware, manage upgrades, security, networking, and even stuff like electricity, ventilation, and cooling. For some enterprises, this is either not a big deal or it’s worth the hassle. But for many enterprises, the value that you’re delivering is not in the hardware or the operating system and so on, but in the domain expertise that goes into the software you’re building. Then, cloud appeals to enterprises who would rather someone else handle all that other stuff. A metaphor that I really like was written up by Albert Barron in a blog post called Pizza as a Service (I especially like the diagram). It makes sense for a pizza company to control the whole stack because pizza making is their core competency. But if pizza making isn’t your job, it makes sense to take another option, like dining out, so you can instead spend your time focusing on what you do best. This isn’t to say that cloud is always the best solution, but it explains why many companies are choosing to move at least some of their infrastructure and platform to a cloud provider like Microsoft’s Azure. How do I sign up for Azure? If you’re on the fence, I recommend at least giving it a try, so that you’re prepared for the day that your CTO comes to you and asks "so what are we doing about the cloud?" Signing up for Azure is easy. To start, you’ll need a Microsoft account. If you don’t already have one, you can signup here. It’s free, and you can use it in a bunch of other places later, even if you end up not liking Azure. 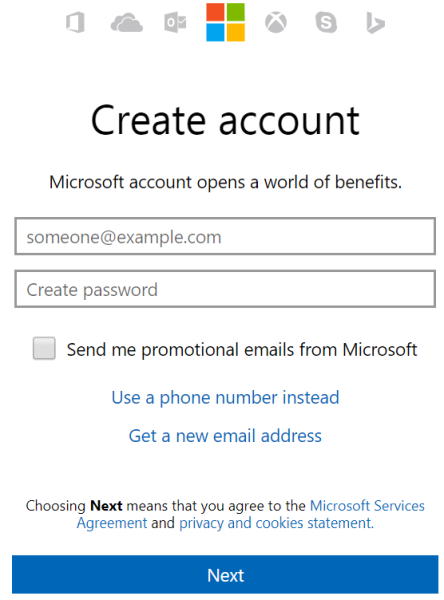 Next, go to azure.microsoft.com and create a free account. Signing up with that link will give you $200 in free credit to use on Azure services. You do need to use a credit card to sign up, but it is just for verifying your identity (they don’t want a bunch of spammers and bitcoin bots). Microsoft will not charge you until you say so. Side note: If you have an MSDN/Visual Studio license, are part of the BizSpark program or have an educational grant through AzureU (ask your professor! 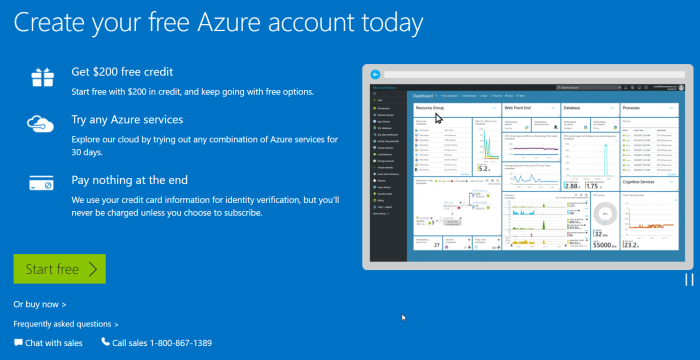 ), you may already have some free Azure credit on a monthly basis! Speaking of money, there are some things you can do in Azure that are absolutely free. But, running Couchbase Server currently requires you to provision Virtual Machines, so if you want to play with Couchbase, you will put that $200 to good use. Couchbase and Azure: Is $200 enough? When I first started with Azure, I was very worried that I’d run up a big tab if I wasn’t careful. With the $200 trial, you won’t get charged until you explicitly tell Microsoft to do so. But years later, after my initial trial, I’ve still never had a problem of an unexpectedly high bill. b) Microsoft makes it hard to hop on a runaway train of spending money. In fact, almost a year ago, I was tasked with provisioning a medium-sized cluster of Couchbase nodes on some very beefy Virtual Machines. Lots of RAM, lots of processor cores, 10 total virtual machines all running Couchbase. I started doing this (manually, to begin with) and discovered that Azure actually has a quota that limits the number of cores you can provision. If you want to create a huge Couchbase cluster, you’ll first need to request an increase in the limit on the number of cores and/or virtual machines that you are allowed to have (this is a manual process, again to avoid abuse/surprises/exploitation/etc). Because of that, I realized that even if I had created an experimental automated script that I accidentally asked to create 100 machines instead of 10, Azure would stop me. Until you want to build that huge cluster, you probably won’t need more than $200 to start with, and you won’t need to increase your quota. As an example, I ran a single-node Couchbase Server on a low-end virtual machine within the last 30 days. I must have provisioned, used it, and tore it down 3 or 4 times. As you can see from the below screenshot of my billing statement, it cost me a grand total of $0.11 for an hour and a half of VM time (and I think there are a few pennies for related services, not shown). (Some information blurred to protect the innocent). Your mileage will vary, but my point is that I think you will find it more challenging to use up that $200 credit than you think. Finally, when you’re ready to play around with Couchbase, I encourage you to check out other blog posts about Couchbase Server. Also, watch this short instructional video on how to provision Couchbase Server clusters automatically. You don’t have to provision a Virtual Machine, install Couchbase, do the initial cluster setup, network them together, etc manually. 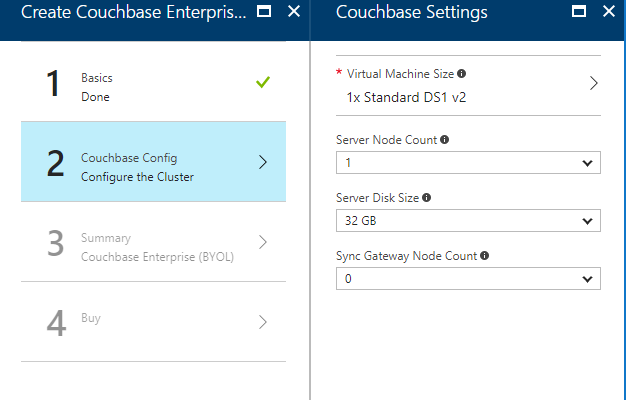 This video (courtesy of Ben Lackey from the Couchbase Partners team) shows you how to provision a Couchbase Server cluster from the Azure Marketplace. If you’ve never used Azure or any cloud computing, now is your chance to get started. I’d love to hear about your experiences with Azure, with Couchbase, and your overall impressions of cloud computing. Please leave a comment below, or talk to me on Twitter @mgroves. 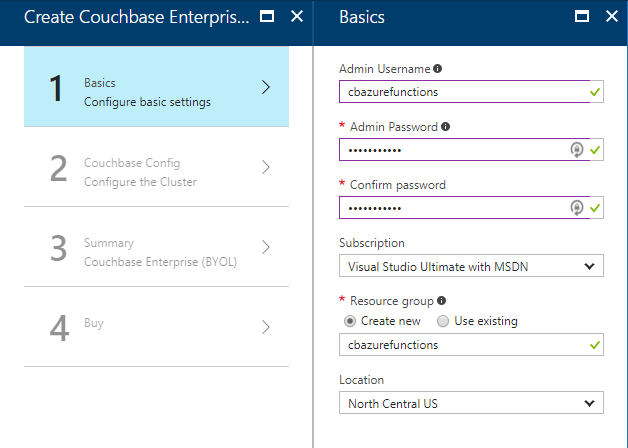 This is a repost that originally appeared on the Couchbase Blog: Azure Functions with Couchbase Server. Azure Functions are Microsoft’s answer to Amazon’s Lambdas or Google’s Cloud Functions (aka "serverless" architecture). They give you a way to deploy small pieces of code, and let Azure handle the underlying server. 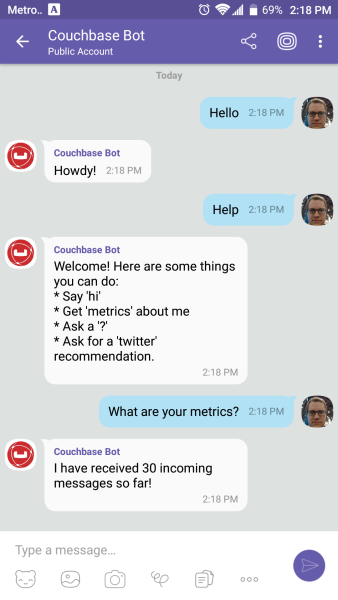 I’ve never used them before, so I thought I would give them a try beyond "Hello, World", by getting them to work with Couchbase Server. There are more options in Azure Functions beyond simple HTTP events (e.g. Blob triggers, GitHub webhooks, Azure Storage queue triggers, etc). But, for this blog post, I’m going to focus on just HTTP events. I’ll create simple "Get" and "Set" endpoints that interact with Couchbase Server. Before beginning, you can follow along by getting the source code for this blog post on GitHub. Also, please read the Azure Functions and Lazy Initialization with Couchbase Server post. It contains an important update about using Couchbase Server and Azure Functions. For this blog post, I decided to try Visual Studio Preview. I did this because there is a handy tool for creating Azure Function projects in Visual Studio. But it only works for the preview version at this time. You don’t have to use these tools to develop Azure Functions, but it made the process simpler for me. Once I had this tooling in place, all I had to was to File→New→Project. Then under "Cloud", select "Azure Functions". Once you do this, you’ll have an empty looking project with a couple of JSON files. Right click on the project, add item, and select "Azure Function". Next, you’ll need to select what kind of Azure Function you want to create. I chose "HttpTrigger". I also chose "Anonymous" to keep this post simple, but depending on your use case, you may want to require an authentication token. After you do this, a very simple shell of a function will be generated (as a C# class). You can execute this function locally (indeed, that is what the local.settings.json file is for) so you can test it out without deploying to Azure yet. I remove the "post" that was generated by the tooling, since I want this to only be a "get" function. Parsing the query parameter seems like a lot of extra code for this simple case. You can alternatively create a "function with parameters"
Currently, if I do that, I’ll get "null" as a response (since I don’t have any validation or error checking code). So let’s move on and create a "Set" function. The "Set" function will be slightly different. I want document information POSTed to it, and I want it to return a message like "New document inserted with ID 123456". There is only "post" in the HttpTrigger attribute. Instead of HttpRequestMessage as the first parameter, I’ve decided to use MyDocument, and let Azure Functions do the binding for me. Since I don’t have HttpRequestMessage, I can’t call its CreateResponse method, so instead I instantiate a new HttpResponseMessage directly to return the success message at the end. Now, when I POST that to the endpoint, I’ll get a response message of "New document inserted with ID f05ea97e-7c2f-4f88-b72d-19756f6a6f35". I have glossed over how these functions connect to Couchbase Server. Previously, I mentioned two methods, GetCluster and GetBucket that will connect to the cluster and bucket, respectively. 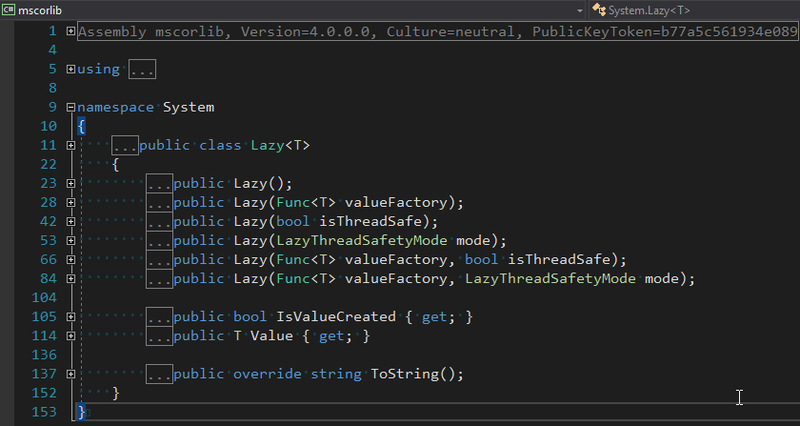 At this point, most of this code should be familiar if you’ve used Couchbase Server and the Couchbase .NET SDK before. I’m connecting to a single node cluster, and then connecting a bucket that has a password set (I’m using Couchbase Server 4.6). 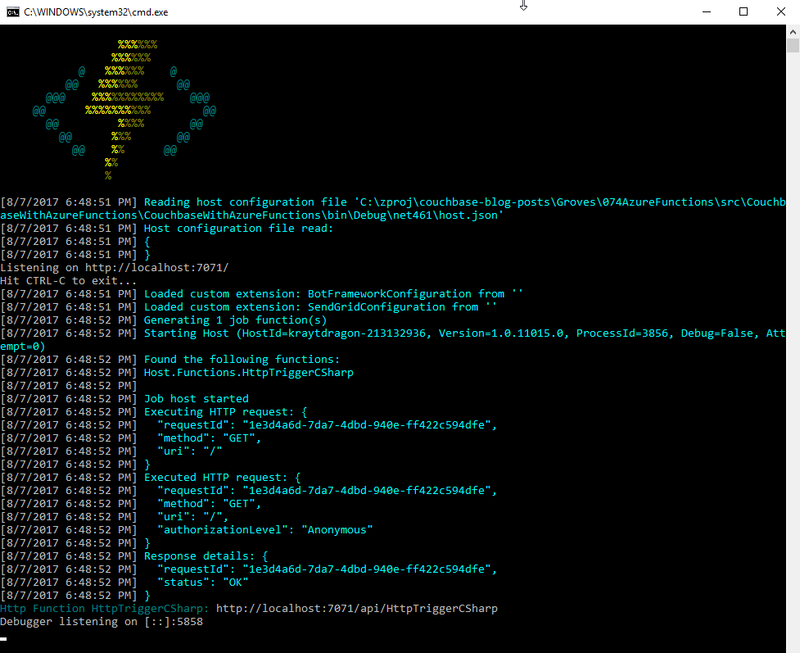 When running Azure Functions locally, this file is used for configuration. I have Couchbase Server running locally with a bucket called "azurefunctions". Anything in "Values" can be accessed via Configuration.AppSettings. Before deploying the Azure Functions, I’ll need to create a Couchbase Cluster on Azure. 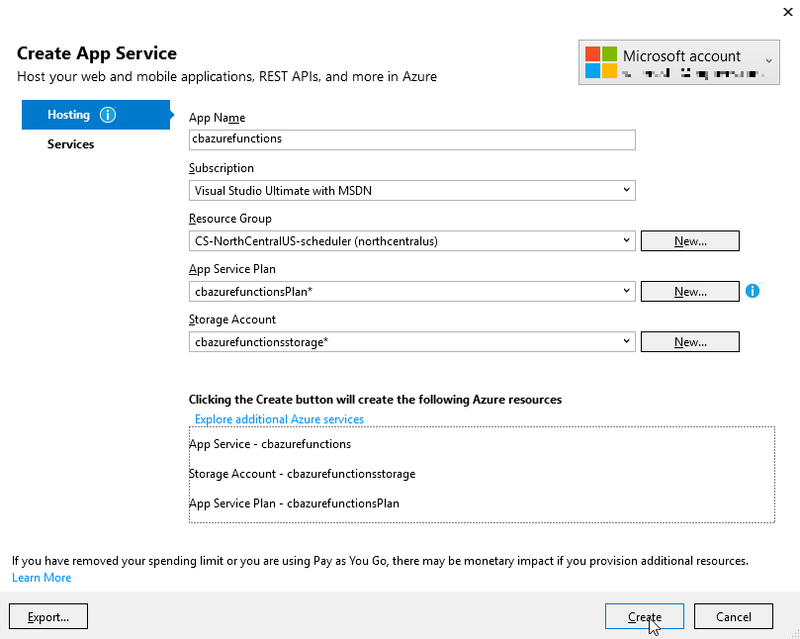 This is very easy to do, thanks to Ben Lackey’s great work on the Azure Marketplace. Once that’s deployed, deploying the Azure Functions are also easy, thanks to Visual Studio. Here is a short video walking you through the process of creating a Couchbase Server cluster on Azure. For my example, I followed that video closely. Here is step 1, where I configure the username, password, and resource group. For the second step, I only created a single node cluster on the smallest, cheapest VM (DS1 v2). I created 0 Sync Gateway nodes, since I’m not using Sync Gateway for this example. Step 3 is just a summary, and step 4 is a confirmation. It will take 3-5 minutes for the Couchbase Cluster to start up in Azure. Once the cluster is created, find the URL for the first node in the cluster (just as demonstrated in the above video). My URL looked something like: http://vm0.server-hsmkrefstzg2t.northcentralus.cloudapp.azure.com:8091. Go to this URL, login, and create a bucket (I called mine "azurefunctions", just like I did locally). Now, Couchbase Server is running. So let’s deploy the Azure Functions that will interact with it. To begin, right-click the project in Visual Studio and select "publish". You’ll need to create a new publish profile the first time you do this, but that’s easy. Give your functions an app name, select a subscription, select a resource group (you can create a new one, or use the same group that you created above for Couchbase), select a service plan, and finally a storage account. You can create new ones when necessary. Click "create" and these items will start to be created in Azure (it may take a minute or two). Finally, remember that the Azure Functions need to know the URI, bucket name, and password in order to connect to Couchbase Server. That information is in local.settings.json, but that file is not used for actual Azure deployments. In the Azure portal, navigate to the Azure function (I called mine cbazurefunctions), and then select "Application Settings". Under "App settings", enter those three settings: couchbaseUri, couchbaseBucketName, and couchbaseBucketPassword. 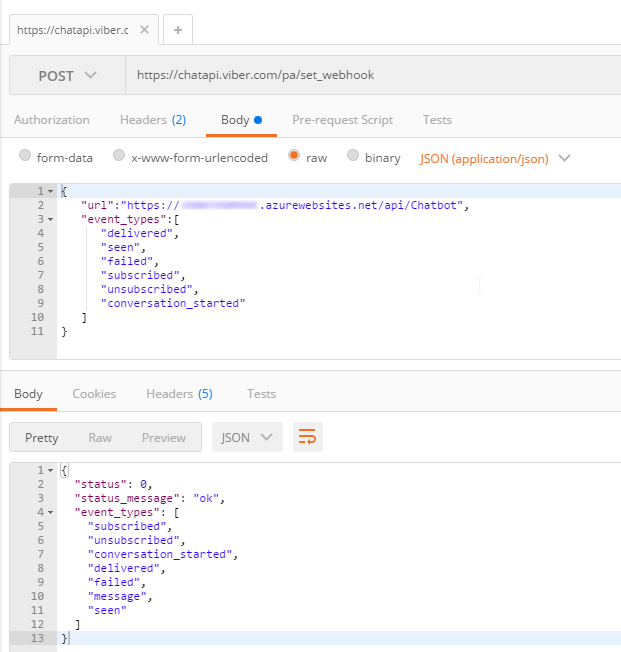 Now, repeat the Postman process mentioned above to try out the Azure functions and make sure they work. Your URL will vary, but mine was http://cbazurefunctions.azurewebsites.net/. Authentication - I used anonymous Azure Functions to keep it simple. Azure Functions can also provide authentication tokens to use that prevent access except to authorized users. App settings - Setting them manually in the portal may not be the best solution. There is probably a way to automate that portion, and that’s something I’ll look into in the future. HTTPS/TLS - You will likely want to have some level of encryption as you are getting and posting data to your Azure Functions. The above example transmits everything in clear text. Anything I missed? Any more tips or suggestions to share to make this process easier or better? Please leave a comment below or ping me on Twitter @mgroves.